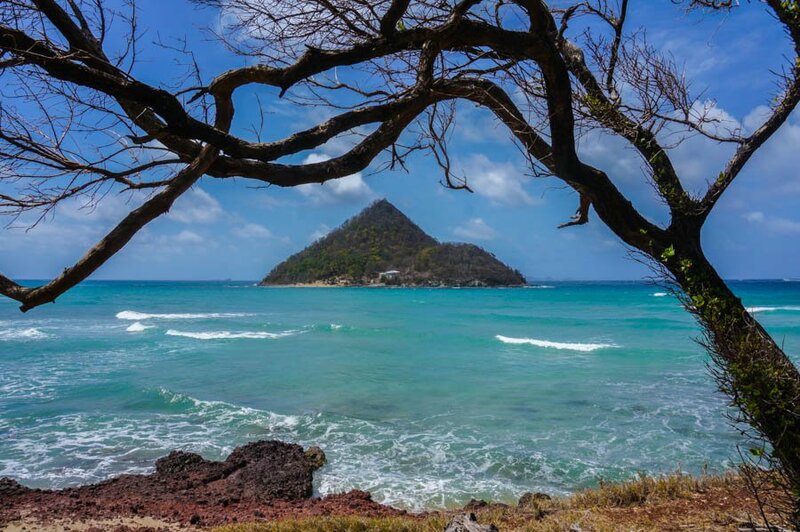 Grenada is blessed with beautiful beaches, many of which are blissfully devoid of people. 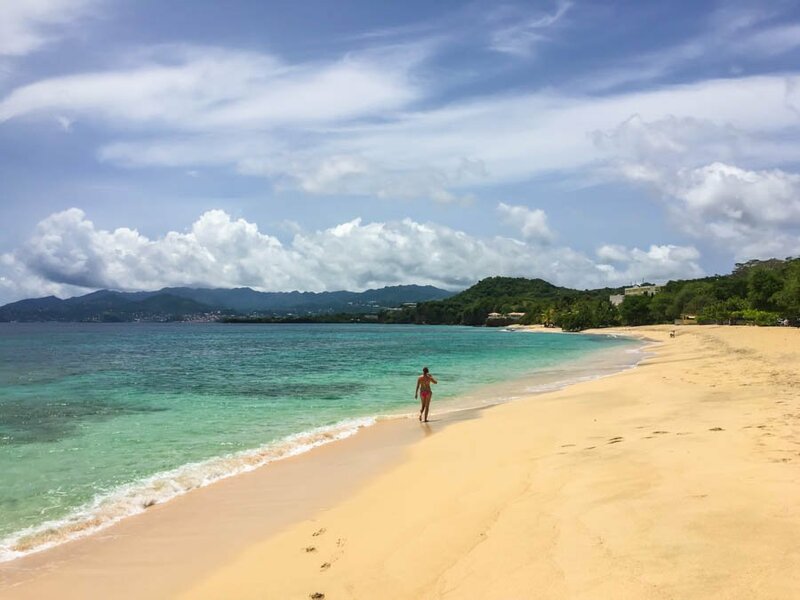 You can literally have the best beaches in Grenada all to yourself! All of the beaches are public, and with over 45 of them dotting the coastline, you’ll definitely find a beach to suit your style. 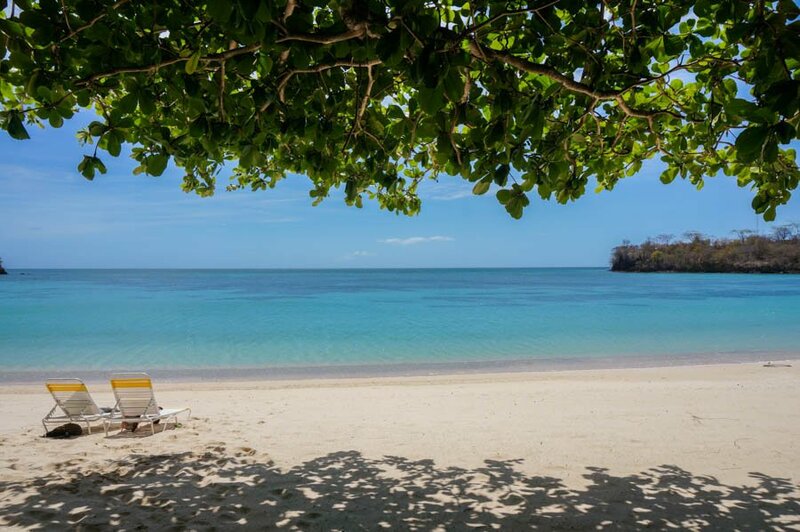 There are numerous things to do in Grenada, but naturally, visiting a beach is a highlight of any trip to the Island of Spice. 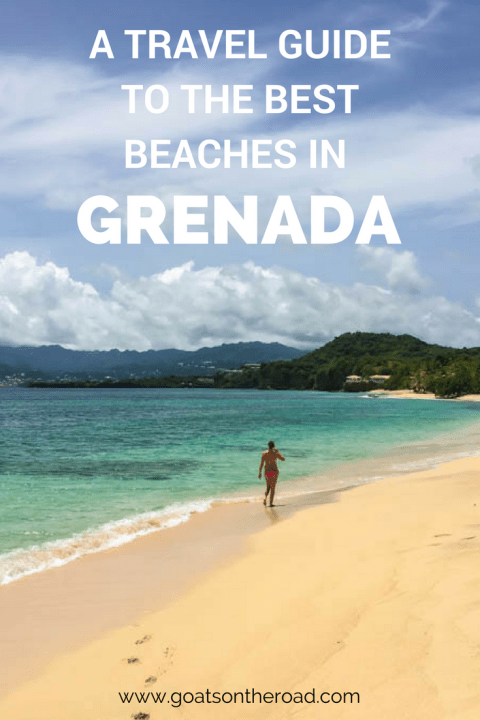 In this guide we’ll share some of the best beaches in Grenada, in no particular order. Let’s start with the star of Grenada’s sandy stretches. This is the main beach on the island, and the most popular. At over 3 kilometers long and lined with almond trees, this is a hotspot for both locals and foreigners. The water here is safe for swimming and it gets deep fairly fast, meaning you don’t have to go out too far before you’re submerged in cool water. 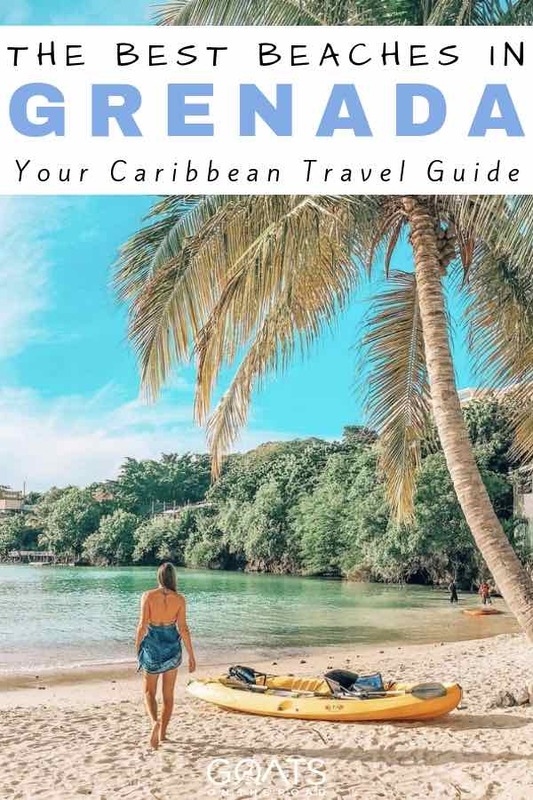 For activities, you can go scuba diving or snorkelling (check out Dive Grenada), rent a kayak, drink rum at one of the beach bars, or just chill out on your towel. 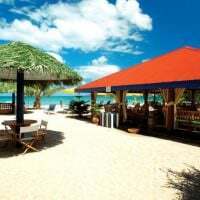 After enjoying the day at one of the best beaches in Grenada, grab yourself a drink and some food at one of the many restaurants and bars lining the beach. Check out Umbrellas Beach Bar, Savvy Beach Cabana (which is a part of Mount Cinnamon Grenada), Esther’s Bar and Coconut Beach Restaurant. 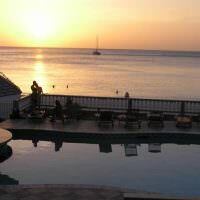 Looking for a hotel on Grand Anse Beach? Click here to learn more & to compare prices. 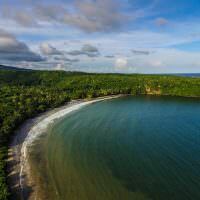 La Sagesse Beach is located in a beautiful, protected cove. The water here is very clear and the sand is impossibly soft! There is only one hotel with attached restaurant on this beach, so you will find lots of peace and quiet here. 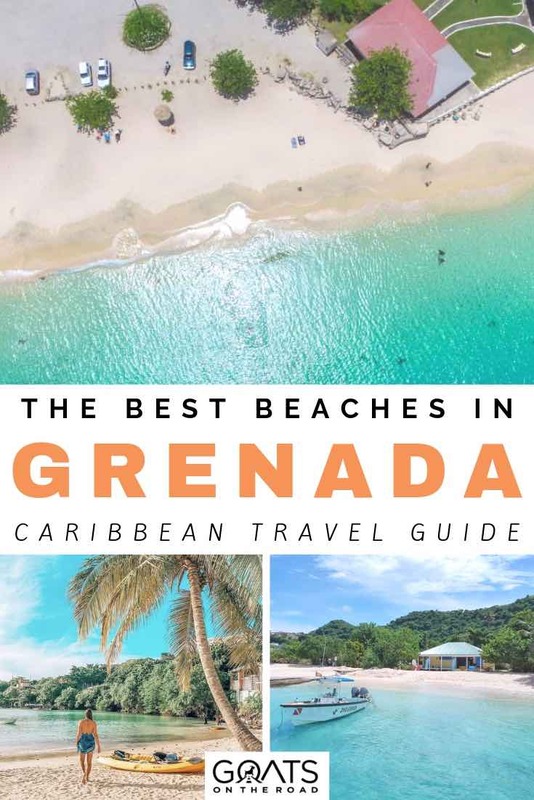 When you think of what the best beaches in Grenada would look like, palm trees and sandy shores probably comes to mind. While many of the beaches in Grenada lost their palm trees during Hurricane Ivan, La Sagesse was able to retain many of them. The beach is backed by palm trees, and there is a freshwater river connecting to the sea. On the weekends, there are many Grenadians here enjoying the beach with their friends and families. Beach chairs and kayaks are available to rent and the food at the restaurant is very good. 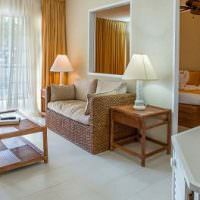 Looking for a hotel on La Sagesse Beach? There is 1 option! La Sagesse is the only hotel located on the beach with the same name. This is a great hotel for those looking for a peaceful, serene getaway. The hotel is small and the staff are friendly. Kayaks, boogie boards and lounge chairs are provided complimentary to guests. TripAdvisor gives a rating of 4.5 / 5 stars. Magazine Beach is one of the best beaches in Grenada for Snorkelling! This beach is located close to the airport and is not only good for snorkelling, but swimming as well. 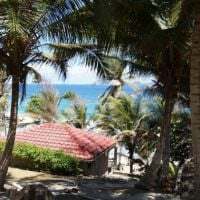 There are boulders at the far end of the bay near the Aquarium Restaurant to the south, and to the north of the beach is the Grenadian by Rex Resorts. This beach is always quiet. Bring a picnic lunch unless you’re wanting to splurge – the Aquarium Restaurant is a bit expensive (except for the Sunday afternoon BBQ!). Magazine Beach is a great place to spend the afternoon…or longer. Click here to learn more and to compare prices. This beach is arguably as nice as Grand Anse Beach, which is its neighbour to the north. Morne Rouge is called BBC Beach by the locals, so if you’re asking for directions, ask for BBC! You can easily walk here from the Grand Anse area. This bay offers very calm, shallow water in a protected cove. We’ve only seen waves here once in 3 years, and that was during a storm surge. There are lounge chairs available for rent, and three bars / small restaurants. This is one of the best beaches in Grenada if you want to enjoy a relaxed day at the beach. Looking for a hotel on Morne Rouge Beach? 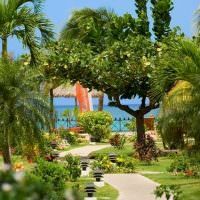 directly on Morne Rouge Beach you’ll find this beach resort. There are 29 beachfront rooms and an outdoor pool with a swim-up bar. Here you can speak to locals about the traditions of Grenada, and learn about the history of the island. TripAdvisor rating: 4 / 5 stars. This beach is basically unknown. We’ve been here about seven times and have only ever seen two fishermen. The property backing the beach has recently been bought up and the jungle access has now been declared “Private Property”. 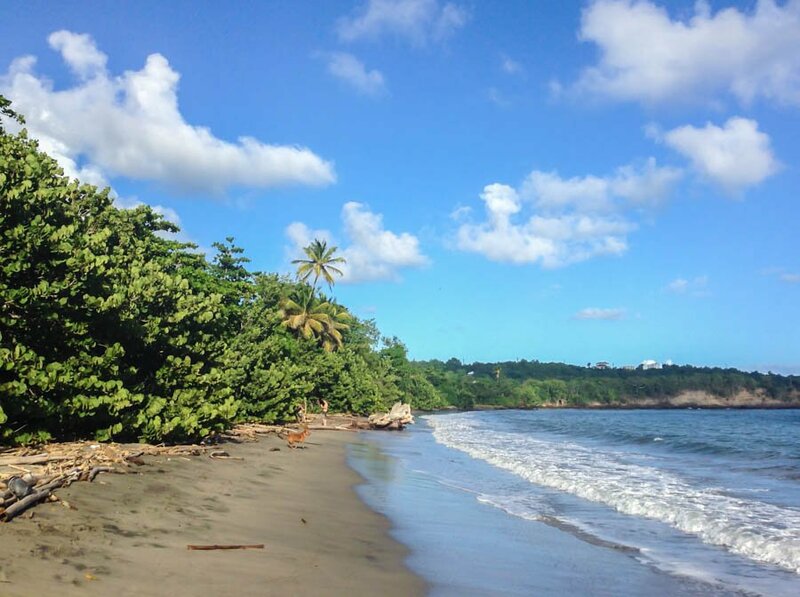 So, the way to get to this beach is from neighbouring Grenada Marine! There is a walk that will take you over the point from the bay at the marina / restaurant, which will bring you to the beach. We’ve dubbed it “Driftwood Beach” because there are loads of incredible pieces of washed-up wood on the sand. Can you see why we call it Driftwood Beach? There is literally nothing on the beach so make sure to bring plenty of water, sunscreen and food. Depending on which time of day you arrive, there will be some shade as well. Due to its black colour, the sand (and sea) here can get quite warm. The water is usually wavy, but we have never seen or experienced any currents or riptides, just safe waves. Still, don’t venture out farther than you can stand. Does anyone know what this might be?! At the far northern end of the beach, there is some sort of ruin built into the cliff – check it out! Hog Island is an excellent place to spend the day. 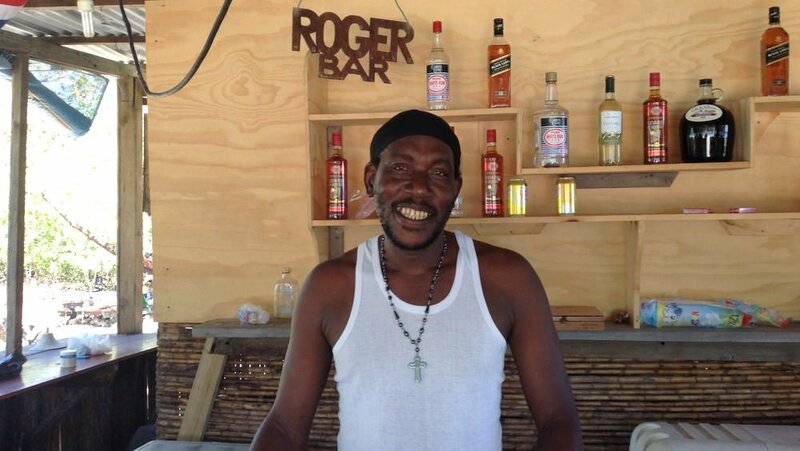 There is no development on the island except for a small rum shack / bar owned by Roger, called Roger’s Barefoot Beach Bar. On the weekends, there is a BBQ here, and after 5:00pm on weekdays, beers and other drinks are for sale. The island is a popular mooring area for sailboats, so naturally the beach will typically have yachties hanging out on it. Weekends are the busiest because some of the boat tours stop off at Hog Island around 1:30 and stay for a couple of hours. Best to visit on a weekday if you have the option. To get here, take a boat from around the Whisper Cove area, or ask around at Nimrod’s bar in Lower Woburn. If you would rather arrive by vehicle, you can drive a very bumpy dirt road from the Grand Anse Valley area (which has a Mt. Hartman Dove billboard at the entrance) until you arrive at the bridge connecting the island to the mainland. From here, you must walk in. 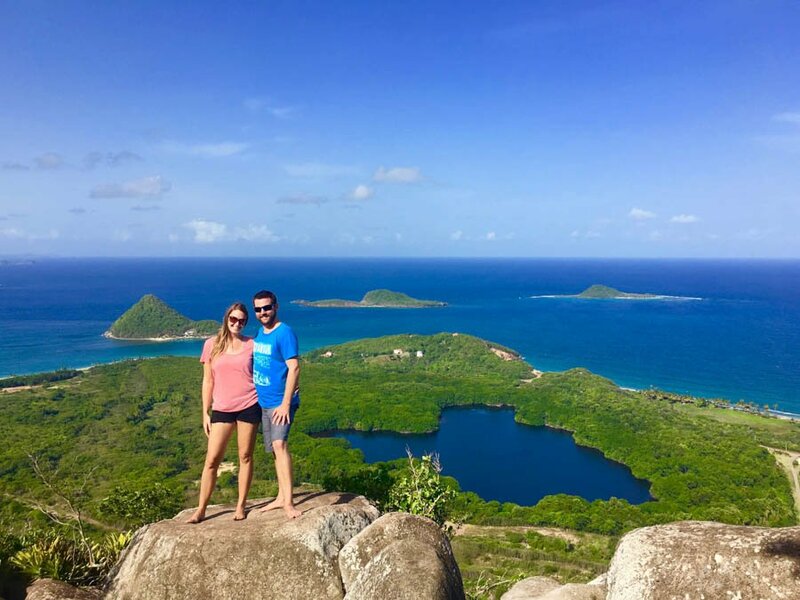 Our two favourite options are to sail here from Port Louis Marina with Savvy Sailing, or to walk here along the path from Secret Harbour Marina (which is quite hot during the day so make sure you leave early). Hiking up and over the island offers fantastic views of Calivingy Island and of the sea…make sure to go for a walk, the interior of the island is beautiful, and the shoreline offers mangroves and bird sightings. 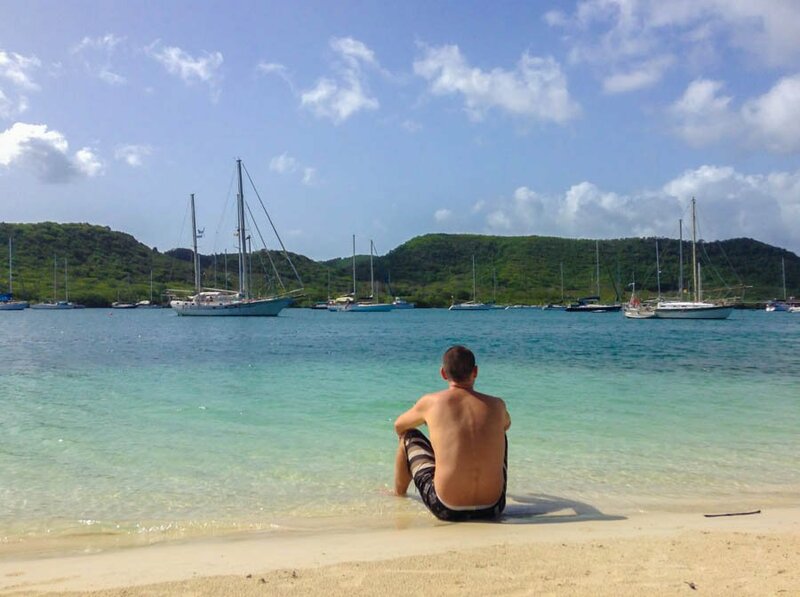 Hog Island offers one of the best beaches in Grenada for “liming”. Levera Beach is located at the Northern part of the island. This is beautiful, natural spot which is great for stopping off for a picnic on the beach. There is usually a security guard here, so although the beach may be secluded, it’s a safe place. Regardless, never leave any valuables in your car, and lock the doors. From April 1st – June 30th, Leatherback Turtles can been seen coming up on shore to lay their eggs in the sand! This is a spectacle you won’t want to miss. The best time to see the turtles nesting is at night and with a local guide. Or, if you can volunteer with the Leatherback Turtles! Just nearby is the Levera National Park where you can go for a nice walk through the mangroves, spot some birds, and check out the Levera Pond as well. Offshore are the islands of Sugarloaf, Green and Sandy, and on a clear day you can spot Carriacou Island. Swimming is not recommended here due to undertow and currents. Looking for a hotel near Levera Beach? Grenada’s beaches are unlike anywhere else in the world. The island’s jagged coastline offers wonderfully secluded stretches of sand. Many of the beaches here are backed by lush greenery and are surrounded by rocky points. Some of the beaches are easily accessible, while others you need to go on a bit of an adventure to find. 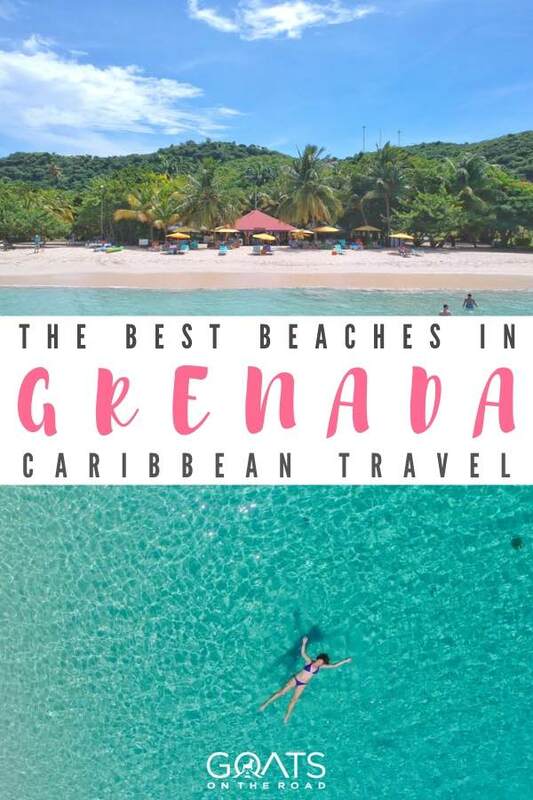 This list was in no way an extensive breakdown of the best beaches in Grenada…I had to keep some of my favourite spots a secret 😉 Come to the Isle of Spice and discover your own private plot of sand, there are many coves and beaches just waiting to be found. These all look magnificent you guys! Thanks for letting the cat out of the bag. 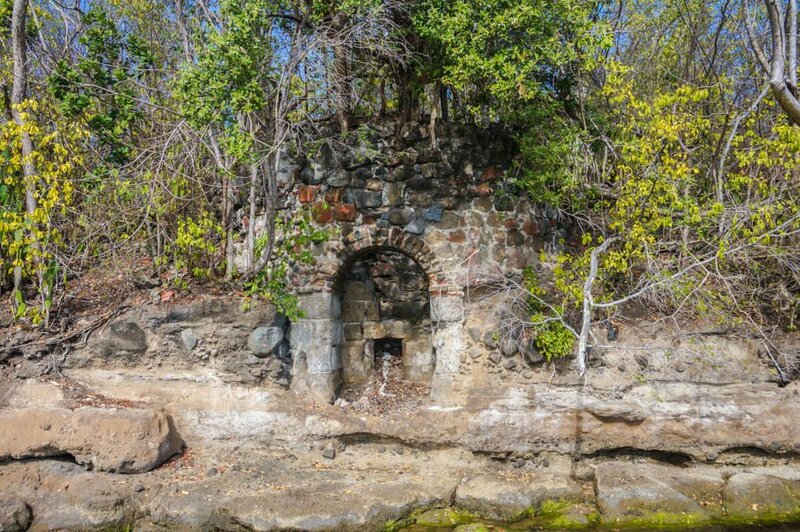 The ruin on Petit Bacolet Beach is a lime kiln used in the manufacture of white lime for building during the colonial period.